I wanted to touch base again on what is happening in the new house. I mentioned in this post that I went on a spending spree around smart devices for the new houses. Well now we are a good month into the new house and I wanted to share a few more things that we have done. Firstly, it’s what we did about the home network. You might have seen me moaning about BT in a few tweets recently. And anyone in the UK will have probably experienced something similar to me. The issue being that BT own the majority of the infrastructure, so they can afford to have rubbish customer service and basically not look after their customers. But aside from these rants we finally got the connection sorted. 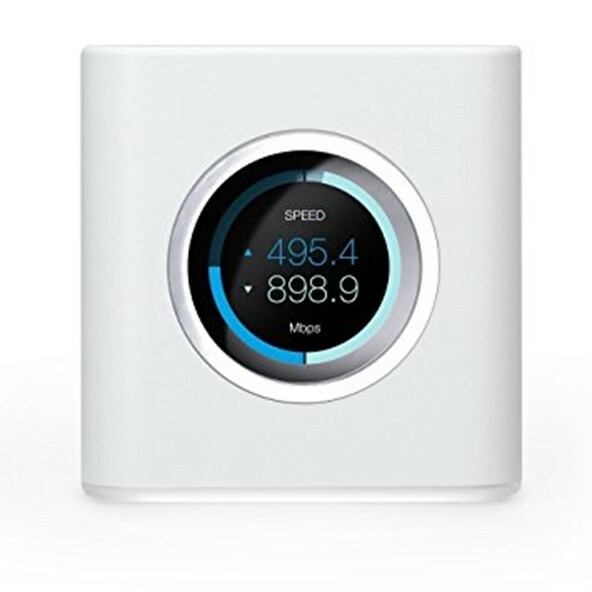 Traditionally we have always gone for a Wireless router that connects straight to the phone line to give you the ADSL broadband connection and in turn provides wired and wireless connectivity for the devices within your house, one of the issues I had with this in our last house was the coverage. From one corner of the house to the other I would potentially lose access over Wi-Fi on my phone or even on my laptop. When we got to the new house I wanted to make this better and I didn’t want to go with access points or Wi-Fi extenders. I think the biggest rule to remember here is every wall, carpet, door and other obstacle will weaken the signal, which means that some rooms will get better coverage than others. What is a Mesh Wi-Fi? I started looking at the various new mesh systems that were available in the market. But first let’s touch on what the difference is. Basically, extra devices sit in around your house and treat the internet in your house like a relay race: picking up the internet signal and taking it to all corners, including places that were impossible to reach before. By taking the signal from your modem or existing router and distributing it around a series of “nodes” or satellite devices, mesh systems eradicate black spots while also maintaining a much higher level of throughput than a single router can maintain. Another benefit with mesh networks is that they are modular being able to add in these nodes to your network to extend the mesh with no real additional complicated work. The mesh network also is seen as one SSID and handover between the nodes is seamless, well at least from the device that I have chosen. In the end I narrowed down my choice to the Samsung SmartThings capable mesh system and the Amplifi systems. Samsung was not yet available in the UK even though UK CRN had rated the system quite high. But after exploring the options of getting it shipped to a hotel whilst I was in the US and bringing it back it just was too risky to do that. The benefit here though that I really liked with the Samsung kit was the SmartThings hub integrated into each “node” and with this the go to smart home hub I was looking to incorporate in the new home. Besides the above I chose the Amplifi gear you can find out more information on this here. The reason I went for these guys was they are pretty cool. The prosumer side of the house for Ubquiti and if you have seen any of that kit you will be blown away, that was also a consideration but far too expensive for what I needed at home. I am not going to do a review of the install and how easy things are to setup, but the image above is what would normally be referred to as the base station. In my setup I have my off the shelf TP Link router connected to the wall socket and then this is connected to this unit. You can go two ways with the mesh configuration with Amplifi you can use these mesh points that can be put on the wall and provide that additional mesh point throughout the house, or you can choose multiple base station models and then can also act as a mesh point. In my configuration and because of the layout of the house I chose 3 of the full-blown stations to connect together. As I have said one of these is situation where the modem router is, this is in the living room on the ground floor, my office is situation on the third storey so I have another station or node here, the reason for this is in my office I have several devices that I would like to hard wire this is not possible with the other type of mesh point. The third station is situated in the garage this is where my home lab lives so this gives us more connectivity options there. This configuration has been running for the last month and I have had nothing but good experiences, even with a power cut just last week everything came up and was back up and running with no manual input. If I was going to criticise then it would be the lack of monitoring, there is some but nothing special I guess I have been spoilt with what I have seen from ubiquity. Next in the home series is going to touch on what has been implemented from the smart home point of view, lots of sensors, door bells and cameras to talk about.